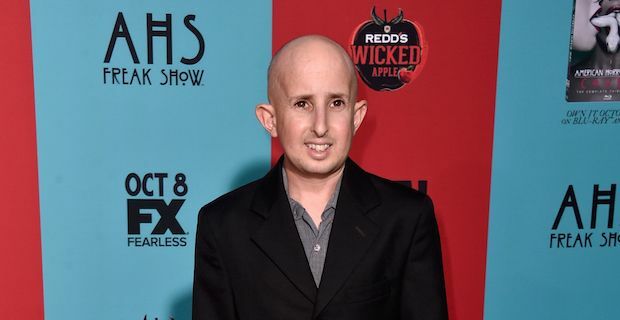 Actor Ben Woolf has died in Los Angeles just 4 days after being hit by a car. The American Horror Story star was hit accidentally by the side mirror of a car last Thursday evening and he acquired serious injuries as a result. 34 year old Woolf had been undergoing treatment at Cedars-Sinai Medical Centre in LA since the accident. He died on Monday ultimately of a stroke related to the injuries sustained in the car accident. Woolf's publicist revealed that the diminutive actor also worked as a pre-school teacher alongside his acting work. A touching message was posted on the Ben Woolf Facebook page which read "We have been overwhelmed by the outpouring of love and support from all over the world for our beloved Ben. He touched so many hearts in his 34 years. His memory will live on within each of us and within his work. Thank you everyone for your love." Tributes were paid to Woolf on Twitter by Evan Peters who said "God broke our hearts to prove to us, He only takes the best. Rest in peace little angel. #RIPBenWoolf" and Ryan Murphy who tweeted "RIP Ben Woolf. One of the most inspirational people I've ever met."